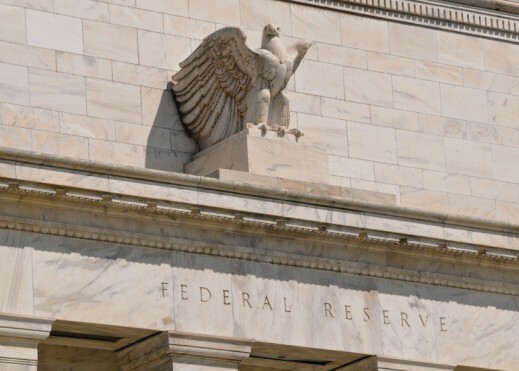 The Federal Reserve released its Federal Open Market Committee statement on the afternoon of November 1, and the real question turns out to be: Does anyone really care what the Fed said? Translated: The completely unprecedented loose money and low interest rates policy started in late 2008 continues. Keep in mind that the Fed has greatest control over the monetary base, which is the sum of currency in circulation and reserve balances (deposits held by banks and other depository institutions in their accounts at the Federal Reserve). The monetary base exploded form late 2008 to early 2015 (from $847 billion in mid-August 2008 to topping $4 trillion in early 2015), and has largely remained at lofty levels since ($3.85 trillion in late October). Yet, at the same time, bank reserves skyrocketed like never before, for example, jumping from a mere $11.7 billion in late August 2008 to $2.8 trillion in mid-2014, and registering $2.24 trillion in late October of this year. But over this period, contrary to claims that the Fed “saved” the economy, in reality, the period has seen one of the deepest recessions on record, and one of the worst subsequent periods of recovery/expansion. At the same time, this vast expansion in the monetary base did not result in any kind of substantial period of stepped up inflation. So, what has the Fed wrought? Trillions in bank reserves provide the answer. Those bank reserves served as a counter to inflation igniting. That is loose money didn’t really move into the economy. At the same time, though, those trillions in bank reserves created an additional uncertainty for investors and businesses (for example, wondering if inflation would take hold at some point), thereby serving as another policy negative in terms of investment and economic growth. So, at best, the Fed has accomplished and continues to accomplish nothing. At worse, the Fed has added to the uncertainty that has weighed down the economy since at least late summer 2008. As for who the next Fed chairman might be, one is tempted to again say, Who cares? But there is still the matter of unwinding monetary policy gone far awry. The key policy point to be considered when picking the next Fed chairman is a plan for getting monetary policy something closer to normal, ideally focused on price stability rather than trying to broadly manipulate the economy.